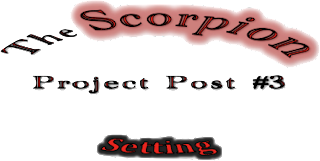 This is my first post covering one of the six literary topics I will be exploring while reading the House of the Scorpion by Nancy Farmer. 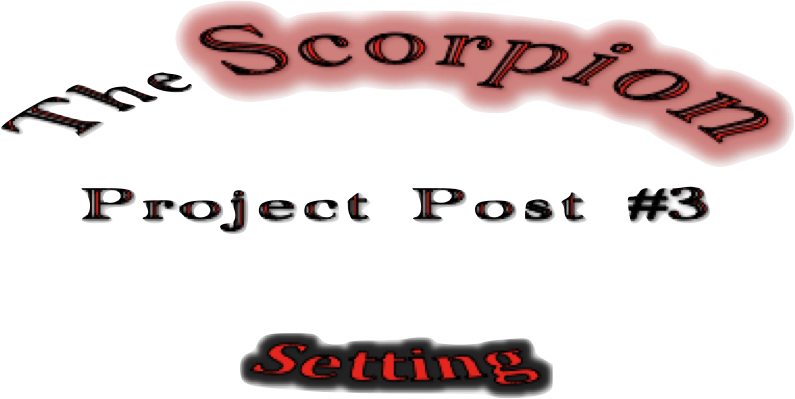 Check out this post to learn about The Scorpion Project novel study, this post about my thoughts, or check out this link for all the info. The book takes place on the border of the United States and the country Aztlán, formerly called Mexico (Farmer 57) I was extremely curious as to why Mexico was renamed Aztlán, and what that might mean. I later looked up what Aztlán meant, and I found out that Aztlán was supposedly the "place of origin" of the Aztec people, which was very interesting. I am curious to find out if this will later play a role in the story. It also mentioned that the area Matt lives in on the border of the USA and Aztlán is called Opium (Farmer 168). Scene-specific settings include the little house in the opium fields where Matt and Celia lived for his childhood (more specifically Celia's room with the Virgin of Gaudalope statue, Farmer 28). The Big House is also a main setting, as well as the oasis, and later in the novel, the passageways Matt discovers. These are very important because without them, Maria and Matt would often not be able to escape, hide, or discover some of the things they did (i.e. Felicia killed Furball), which is why Farmer included them. There are multiple clues that indicate the time period is the future. First, Mexico was changed to Aztlán. Also, the technology to clone humans was developed, as we find out in the first chapter of the novel, and the technology to keep humans alive for past the old age of today (i.e. El Patron). It says specifically in the book as well that El Patron does not like having modern technology kept out to preserve the old-fashioned appearance of the house, which indicates it's not in the past. If you pay attention to the genres and tags, you find it is a dystopia book, which means it's a flawed, futuristic society. I found out Farmer was born in Phoenix, Arizona. Therefore, I think she chose to write about the area she did because it was familiar to her, and the book would feel more authentic with a representation of a different language and ethnicity (Spanish). My best guess as to why she created the little country of Opium is to put emphasis on how important the opium business is in their society. I think the purpose of the oasis is to reflect the relationship Tam Lin and Matt have, because it is Tam Lin who shows Matt to their "special" spot.